What is the best time to visit Morocco ? A question that often comes up when someone contacts us about booking a tour of Morocco. Is October the best time to visit ? Is Christmas busy ? What are the temperatures in March ? What about Ramadan ? When visiting Paris or Barcelona, one doesn’t mind the weather. Not much anyway. In general though, weather influences what one does or does not on a holiday. Even more so in Morocco. 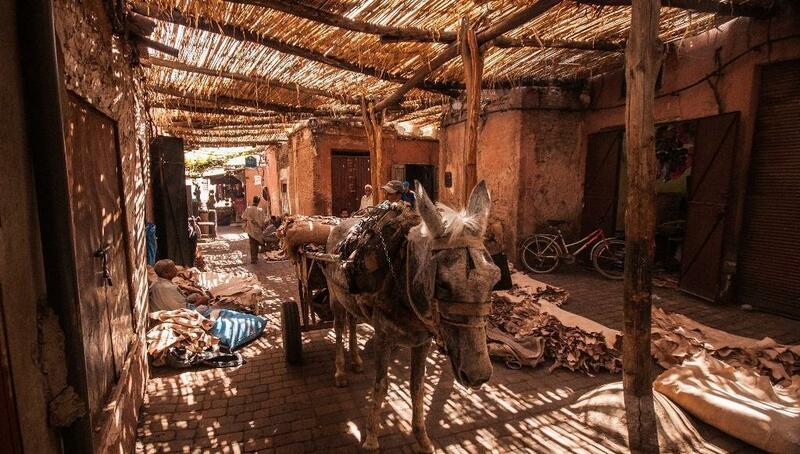 Having lived in Morocco since 2006 I believe the country is best visited all year round. Sunshine 300 days a year ? More like 350. In July and August everyone tries to flee Marrakech and find the coolness up in the Atlas Mountains or the Atlantic coast, just nort of Agadir, in Essaouira or the dreamy village of Oualidia. When temperatures in Marrakech go way past 40 Celsius, in Imlil they hardly reach 30. Now of course, Morocco has different climate zones and the difference in temperature in some areas is quite important between summer and winter. It is also known to be an incredibly diverse country when it comes to landscapes. From green lush areas where forests and lakes have earned Ifrane the nick name ‘ Switzerland of Morocco’ to the Sahara with its oceans of dunes, from wild Atlantic beaches to lush palm groves , from wine producing regions around the cities of Meknes and Rabat to the resort towns of the Mediterranean and Atlas Mountains with their spectacular gorges and over 4000 meters high peaks. In Chefchaouen, a picturesque village in the north, you will spot palm trees and pine trees growing next to each other. The reality is somewhat different. Morocco is incredibly diverse in landscapes, altitudes and latitudes. While it may be snowing in Ifrane or Imlil, you are almost guaranteed sun bathing in Laayoune or Dakhla, by the Atlantic. It takes living inside the country for years to acquire this knowledge. If you want to just tick some boxes in your travel notebook and scrape Morocco off that list, you can hire the services of any tour operator or travel agent. For someone that can customize a once- in- a- lifetime experience and choose the best places to visit and things to do based on the time of year you wish to visit, go for a local specialist. It can happend that you'll even need your agent to customize your holidays after you arrived in Morocco. On a few occations, we had to reverse the order of a private tour when snow had blocked the Tizi n Tichka pass, while keeping the same start and end dates and encompassing the same local experiences. Of course, one could argue that temperatures are ideal to visit Morocco in March and October. There are, though, a few downsides with this. It is the peak of the tourist season with most other tourists on all inclusive holidays being taken around by charter buses. This means cues to enter monuments, rubbing shoulders with everyone else visiting smaller venues and the night in the Sahara desert camp you'd so long anticipated resembling more an attraction park than the zen- like, intimate experience you were hoping for. Peak season time means also peak season rates. 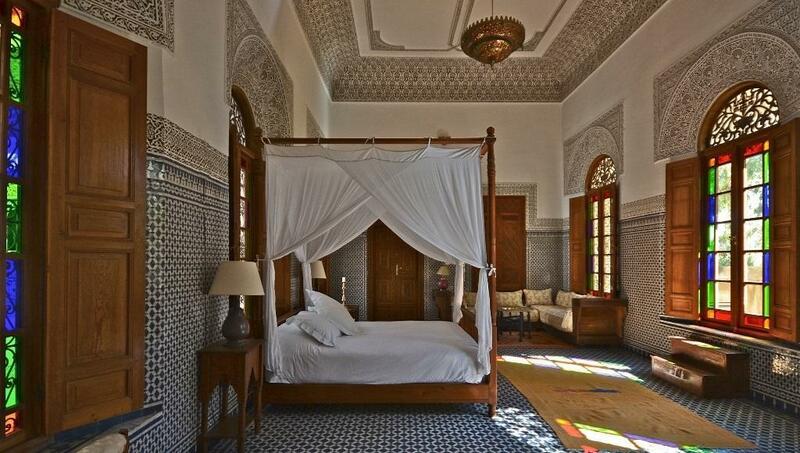 Most Riads/ hotels consider these months high season (given the volume of tourists) and raise their rates accordingly. So instead, why not visit before Christmas ? Or just after NYE ? You get low rates on hotels and other services. Perhaps not quite the temperatures to swim in a pool, but at 20 plus Celsius day- time and constant sunshine, you are far from the rainy and cold winter affecting most of Europe and US. The rain season in Morocco, if such a thing exists, falls late February or March. During a week or so, you may get occasional rain showers. For those interested in the best photography shots, the winter months are ideal - the light is at its best then when air is depleted of any dust. With so many things to do and see, in Fes, it isn’t the weather that decides when visitors come. As Vanessa Bonnin, former manager of Dar Roumana guest house, once said: "The best time to visit Morocco is in June to coincide with the incredibly inspiring Fes Festival of Sacred Music. It showcases an eclectic mix of world music and always has fabulous head-liners too. During the festival the medina is even more alive and buzzing than usual, with the added energy of happy music lovers visiting from all over the world. It shows this magical city at its best!". In July and August one should consider staying away from the desert and inland cities like Marrakech, Fez or Ouarzazate. But even in Fez and Marrakech, with careful preparation from a knowledgeable local travel agent, one can still enjoy the beauties of these two cities. The best way to do it is to choose to stay just outside the city and come into the city early in the morning to sightsee. You can then return to your guesthouse in the afternoon to relax and enjoy the lush gardens and pool. After all, it is only a 10- 15 minutes drive and if you are on a private Morocco tour, you will have your driver and 4x4 available 24 hours a day. You may also choose to spend the night in the Medina and travel to the coast to either Essaouira, Oualidia or Agadir (each within less than 3 hours drive from Marrakech and considerably cooler during the summer). Max Lawrence, of Lawrence of Morocco agrees: “Marrakech is wonderful all year round but if the summer heat is too much for you then you should head to the ideally temperate Atlantic coast in July and August. Oualidia, Essaouira and Agadir all provide 28 C whilst in Marrakech it can be 45 C.” Some parts of Morocco like Agadir and Dakhla benefit from all year round mild temperatures. 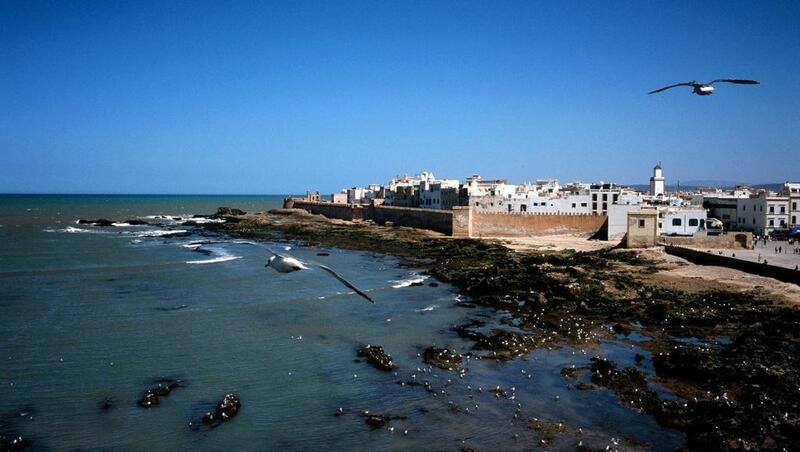 Further north, Essaouira yields more charm and character than a resort as Agadir, but the cold current makes it too cold to swim even in summer. When it comes to Christmas and NYE, Marrakech is on the top of the list to foreign visitors’ preferences. Marrakech is definitely worth visiting, but if you expect to find the same festive ambiance as in Europe, you are in for a disappointment. Mostly because Morocco’s population being largely Muslim, they do not celebrate winter holidays as Westerners do. Max agrees: ‘Morocco is a country which offers perfect travel conditions all year round as one is able to move geographically to different areas for different periods. 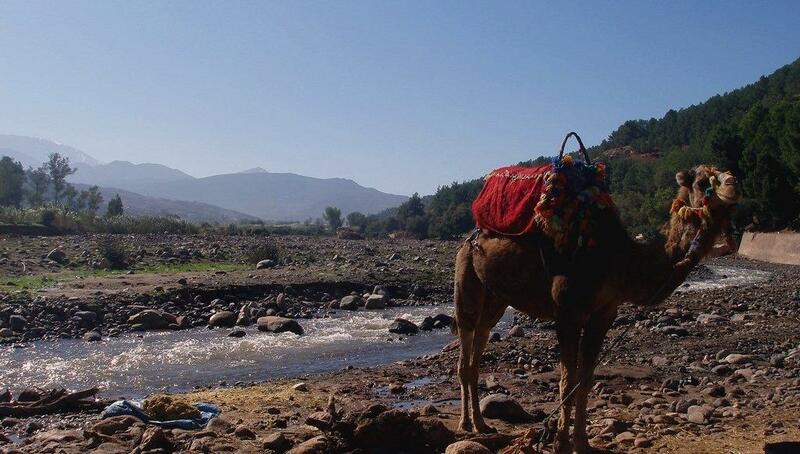 The Atlas mountains are wonderful all year but if you are thinking of trekking then avoid the winter months of December, January and February as there can be too much water flowing in many of the rivers to allow walkers to easily pass. During these months, trekking in the desert is ideal. The only place you should avoid in July or August is the desert. Temperatures can soar over 45 degrees Celsius and there is no tent provided with A/C. Not yet anyway. Max says: ‘Southern Morocco and the desert is ideal from September to June (10 months of the year) and should not be missed.’ If you really have to do the Sahara in July or August, think of booking a room in an air conditioned kasbah by the dunes , where early next morning, you can take a short camel ride into the dunes to witness a sunrise as you've never seen before. But spending a full day in the dunes is not an option, unless you are training for Marathon de Sables. © Sun Trails 2018. All rights reserved. No part of this article may be reproduced, distributed, or transmitted in any form, including photocopying, recording, or other electronic or mechanical methods, without the prior written permission of the publisher.